Just wide enough, just light enough. 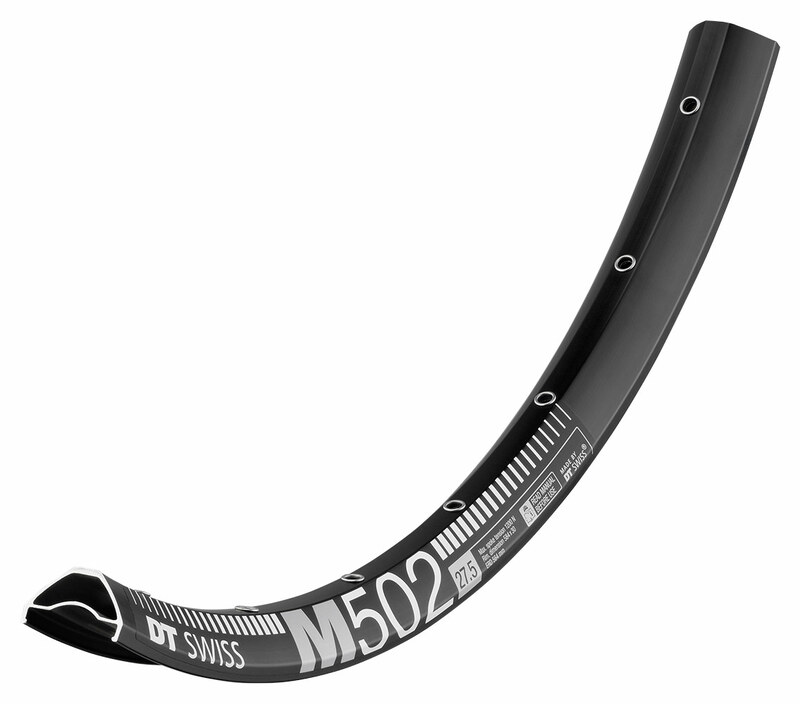 At 30 mm internal rim width the M 502 works for tyres ranging from slightly wide to quite wide, allowing it to attack the hardest of terrains. DT Swiss’ benchmark rim material is combined with an economic sleeve-junction to offer the best ratio between low weight, big width and a low price. Weight: 27.5″ 535g, 29″ 570g. ERD: 27.5″ 564mm, 29″ 602mm.